Oh... sorry about that title. I don't know what got over me. This was us last year, chillaxing on the roof, watching fireworks, and loving life. Ah, that Hubs! Always making me laugh! And in case you were wondering what I wore in Argentina on the Fourth of July, here it is, folks! It doesn't get much cuter than this, does it? Which makes me wonder, why don't I do a fashion blog?!? - Freedom to have a bloggy blog about whatever I want! You're so funny! Cute post! I'm grateful for all those freedoms too. Happy Independence Day! Love your cute, cute pictures, Bonnie! 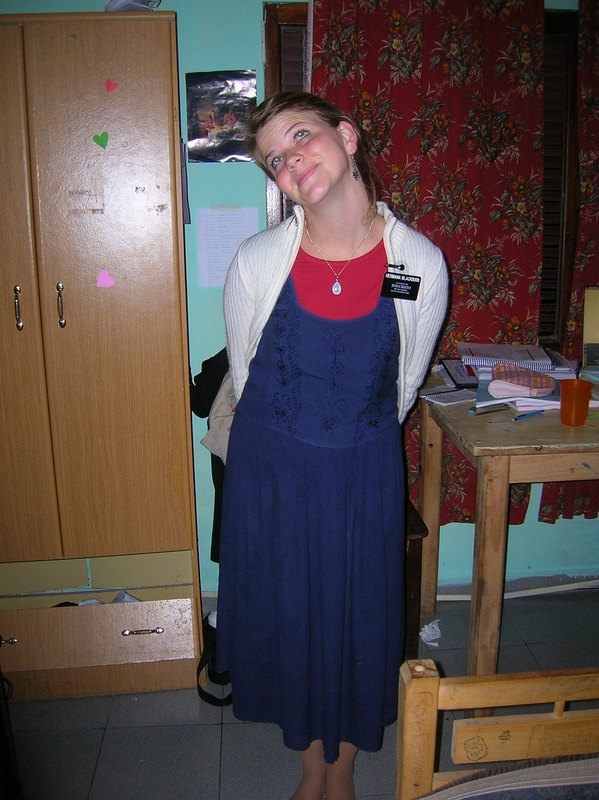 :) And shouldn't all sister missionaries have fashion blogs? Obviously, those calf length skirts and knee highs are wear it is at! Also, sometimes blogger double posts my comments? And then instead of just deleting them like a normal person I write a third comment for explanation. You seriously make me laugh--genuinely! Happy 4th of July. PS--where did you serve? You served your mission in Argentina?!?!?!?!? How cool is that?!?"?!? I am from Argentina!! Your cool factor just went up about 10 notches!! Love it! !